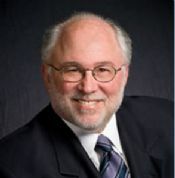 Mr. Alan D. Westheimer and his associates perform a variety of forensic accounting investigations on behalf of trial attorneys, and he serves as consulting expert as well as testifying expert witness at the trial of complex business and personal disputes involving financial matters. Mr. Westheimer’s work is typically focused on economic damages, either calculating them on behalf of plaintiffs or assessing the calculations of other experts on behalf of defendants. Mr. Alan D. Westheimer provides services as both consulting and testifying expert on a whole host of cases, large and small, in both federal and state courts, that concerns a broad range of economic damages/lost profits issues in a multitude of industries; tax-related IRS disputes and professional malpractice cases; bankruptcy cases; professional misconduct cases; estate, trust, and probate cases; and, cases involving allegations of alter ego. Mr. Westheimer is conversant with the standards of practice governing tax compliance and consulting services provided by public accounting firms. Mr. Westheimer also has considerable experience with litigation matters involving claims of professional malpractice that pertain to federal tax issues. Mr. Westheimer focuses his practice management consulting efforts on financial management issues, productivity, marketing, strategic planning, dealing with a troubled economic environment, internal conflict, partner compensation, retreats, mergers, and helping firms learn practical methods for managing change. Mr. Alan D. Westheimer, CPA/CFF, CFE is a consulting practice focusing on litigation support services, as well as federal tax services, and practice management consulting for professional firms. His work is typically focused on economic damages. Alter Ego, Professional Misconduct, Federal Taxation, Practice Management. From the early 1980s to mid-2005, Mr. Alan Westheimer was a member of the Adjunct Faculty of the Jones Graduate School of Business of Rice University in Houston, Texas, where he taught graduate courses to MBA degree candidates and, before that, to Masters of Accountancy degree candidates. He has also been a member of the Adjunct Faculty of the Bauer College of Business of the University of Houston in Houston, Texas, where he taught a graduate course to Executive MBA degree candidates. Mr. Westheimer has also been a member of the Adjunct Faculty of the University of Houston Law Center in Houston, Texas, where he taught courses to JD and LLM degree candidates. Mr. Westheimer has authored many articles for publication in the fields of litigation services, professional firm practice management, and federal taxation, including as a co-author of AICPA Consulting Services Special Report 03-1, Litigation Services and Applicable Professional Standards. He has served as a committee member and on the Board of Directors of several professional organizations and as editorial advisor, and in one case as editor, of several professional publications. He spent six years as a public member of a State Bar of Texas Grievance Committee assisting in the adjudication of grievances filed against Texas attorneys. From 2008-2011, Mr. Westheimer was a member of the AICPA Forensic and Litigation Services Committee, which oversees this area of practice for the AICPA. Mr. Alan Westheimer has practiced public accounting as a CPA for more than 45 years as a member of the staff of both an international accounting firm and a regional accounting firm; as a founding partner or owner of three Houston, Texas local accounting firms; and as the partner-in-charge of the Houston, Texas office of an international accounting firm. He has also conducted a parallel practice as a CFE for the past 20 years and has extensive experience representing clients in that capacity. Mr. Westheimer is licensed as a Certified Public Accountant (CPA) by the states of Texas, New Jersey, Georgia, Florida, North Carolina, and Mississippi and by the District of Columbia. Additionally, he has been awarded the Certified in Financial Forensics (CFF) and Certified Global Management Accountant (CGMA) credentials by the AICPA and is also a Certified Fraud Examiner (CFE). Mr. Westheimer concentrates on serving attorneys for plaintiffs and defendants as a financial expert and forensic accountant in complex personal and business litigation matters. Mr. Westheimer has also served in the same capacity in numerous cases in which there were allegations of fraud and has conducted numerous forensic investigations while working on them. In 1994 and 1995 he was deemed one of the 100 most influential accountants in the U.S. by Accounting Today magazine, an industry trade journal. In 1998, he received an award for teaching excellence from the alumni of the University of Houston Executive MBA Program.